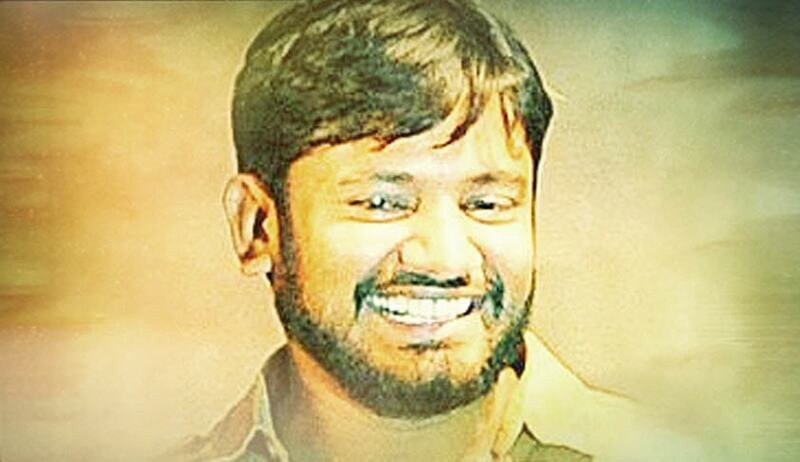 Delhi High Court has dismissed Petitions seeking cancellation of bail granted to JNU students Leader Kanhaiya Kumar. The High Court has granted interim bail to Kanhaiya Kumar for a period of six months vide order dated 02.03.2016. The applications have been moved by the petitioners Prashant Kumar Umrao and Vineet Jindal in their individual capacity . Justice P.S Teji has observed that Section 439(2) of the Code of Criminal Procedure envisages the right to move the application for cancellation of bail with the investigating agency against the person. “As per the Code of Criminal Procedure set up, the criminal proceedings are between the State and the accused or between the complainant and the accused. A stranger does not have any access to the proceedings particularly when the investigation is already in progress to prepare the report to submit the same before the Court. The investigation cannot be interfered with or intervened in any manner by any stranger and the Investigating Officer is to take decisions regarding the conduct of the investigation and the accused as provided by the Cr.P.C. In pursuance of the notice, State/Government of the National Capital Territory of Delhi was asked to file reply to clear its status and to know the stand of the prosecution as to whether they wished for the cancellation of the bail to be granted to the respondent/accused or not. In its reply it is mentioned that it is for this Court to form an opinion whether the respondent/accused has violated the conditions of bail or not. The stand taken by the learned Standing Counsel for the State/Govt. of NCT of Delhi on the instructions of the Investigating Officer was that the prosecution is not in favour of cancellation of bail granted to the respondent/accused. The Court has opined that the contentions made by the counsel for the petitioners that the speeches made by the respondent/accused subsequent to the grant of bail are anti national and violative to the conditions of bail, do not find any substance on the file. “The alleged speeches made by the respondent/accused have been noticed by the petitioners from the Television or newspapers. The petitioners have no personal knowledge of the speeches so made and contents thereof. Even the petitioners are not aware whether these speeches were declared anti national by any court of law or whether such speeches are the subject matter of any prosecution before any court of law. Alleging the speeches as anti national is the personal perception of the petitioners and nothing has been brought forth to establish that such speeches were actually made or that the same were declared anti national by any court of law”. (i)The Investigating Officer is to take decision seeking cancellation of bail and the grounds thereof on the basis of material collected during investigation. (ii)Section 439(2) of the Cr.P.C. does not envisage any right upon any stranger to approach the Court for cancellation of bail, a right which has been conferred only on the Investigating Officer or under exceptional circumstances to the complainant. (iii)Application of a stranger cannot be entertained by the Court without any substantial set of facts and circumstances or without sound principle of law to call upon the accused for cancellation of bail who has been protected under Article 21 of the Constitution of India except the authority empowered under the Code of Criminal Procedure.